Larf Window Roller Shutters specifically design security shutters in Hoppers Crossing for keeping unwanted visitors out, providing you with a sense of safety and comfort. These shutters can be used to cover veranda openings, pergolas and different styles of windows, which include sliding doors, bay windows, corner windows and alcove entrances. 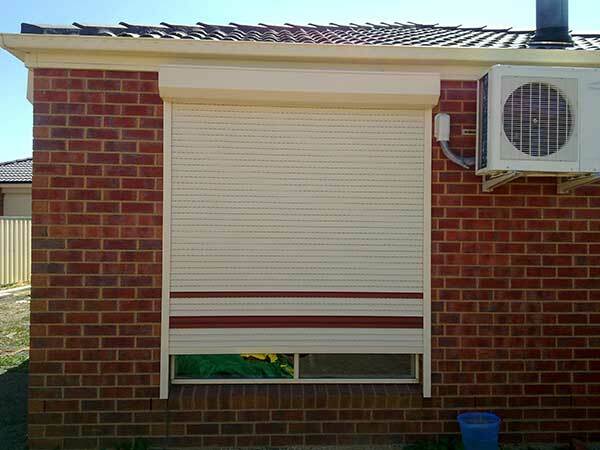 Our roller shutters in Hoppers Crossing, will prevent the sunlight from entering the house, increasing the lifespan of your carpets, flooring and furniture. Our roller shutters have high water and UV resistance characteristics, which makes them an ideal installation for all weather conditions. Our shutters are considered as the ultimate security shutters in Hoppers Crossing, which makes them a far better security system from thieves and harsh weather. Our exclusive interconnecting zip track keeps the roller shutters tight. Once the roller shutter is locked, it can withstand a weight of 154 kg, which makes them an ideal choice in extreme windy areas. Our roller shutters are water and scratch resistant, which means no matter how harsh the weather, there will be no watermarks. The best benefit our roller shutters offer is that they are multipurpose and are a blessing in summers as well as winters. In summer you can keep the shutter closed which blocks the light as well as the intense heat and keeps your house cool, whereas in winter you can retract the shutter and enjoy the warm sunlight in the morning. After all, there is nothing better than the warm ambience created by the morning sunlight that falls in to your room. Once the shutter is retracted, it folds neatly in to the cassette head box at the top of the shutter. Why Choose Our Larf Window Shutters In Hoppers Crossing? Window shutters in Hoppers Crossing can be operated manually as well as by remote control. This depends on the customer’s choice. If you are looking for total ease and are ready to spend a little extra money, then the electronic roller shutters is the best choice for you. At Larf Window Roller Shutters, we pride ourselves in providing our customers with the most advanced technology, which will make their living easy. Therefore, we provide you with the best quality and cheap window shutters in Hoppers Crossing and Window Shutters Caroline Springs.